1/12th scale for your dollshouse. For the well-equipped Fish & Chip shop in miniature ! 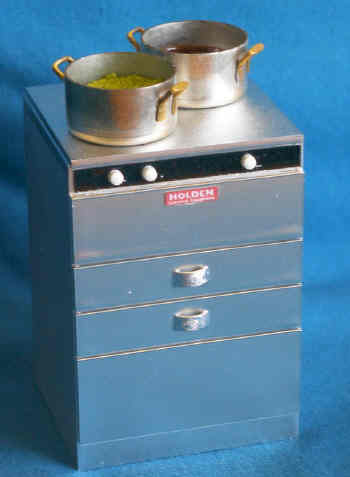 This ' stainless steel' finish cooker,( doesn't open), includes pans of mushy peas & gravy.